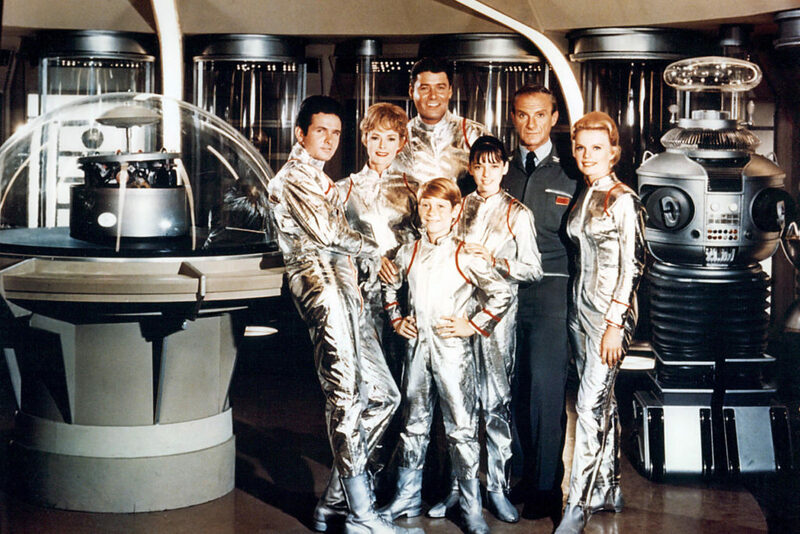 Lost in Space has been rebooted on Netflix recently, and I have all of the nostalgia feels. My earliest memories of space are connected with the original television show Lost in Space which debuted in the 1960s. This is a show that I watched as a child, though since it was the 1980’s, I was catching the reruns. The original series took place in 1997 where the Robinson family was selected to establish a colony on the third planet in the Alpha Centauri system, due to massive overpopulation on Earth but are sabotaged by Doctor Zachary Smith and everyone ends up lost in space trying to find their way home from a desert planet. All my hopes for the future and the possibility of living in space were directly related to this show! This being the case, even before the Netflix reboot I tried to imagine the Lost in Space family of 30 years from now, in 2048. I think that the true future Robinson family would probably be a modern family consisting of a patriarch, Mr. Robinson, an astrophysicist, a matriarch, Mrs. Robinson, an aerospace engineer (his 3rd wife) and their 3 children from previous marriages. Their beloved robot would be a combination of an autonomous domestic robot and a specialty robot programmed to assist with any projects the family is working on. The children would be genetically modified to be immune to most common diseases with the potential to live at least to see their 300th birthdays. Their day-to-day life would include traveling to and from planets in driverless electric or solar powered cars and buses for business, pleasure or research. Their diet would be purely synthetic foods and proteins from bugs. The character Dr. Smith would be a 200-year-old scientist from another planet that participates in an exchange program with Earth whose home planet has perfected anti-aging so he appears to only be 45 years old. The mission that they are chosen for would be an exploratory one where they are to visit the spiral galaxy of Andromeda and commence peaceful relationships with other beings. My version of the future Lost in Space show would introduce us to new planets lightyears away, new life forms, and alternative environments. The most exciting thing is that 30 years from now, we will really be living in space! But, most hopefully, not lost. Scherrie Donaldson is the founder/editor in chief of Thirtymommy. She is an educator, writer and mother of 3 boys.